This Sunday the Easter Bunny will be hopping into homes across Metro Detroit. To welcome him and have some Easter Fun, the Detroit Zoo is hosting their 24th annual Bunnyville Celebration. The event will feature all sorts of activities, including crafts, special treats, Zookeeper talks, games, the Jelly Bean Jamboree, the Off Broadway musical “The Bunny Follies”, and a golden Easter egg hunt throughout the zoo! Admission to Bunnyville is free with paid zoo admission (which is $14 for adults and $10 for children 2-14). But, if you bring a canned or non-perishable food item, you can get in for a discounted rate of $8. If you have a zoo membership, you get in to Bunnyville for free, but the zoo encourages you to still bring a food item to donate. All food donations will go to Gleaners Community Food Bank, helping people throughout Southeastern Michigan. Bunnyville activities run from 9 a.m. 'til 4 p.m. on Friday and Saturday, April 3rd and 4th. The Bunny Follies will have performances throughout the day in the Events Pavilion, with shows at 1, 2, and 3 p.m. This sounds like an event that will be fun for all ages! 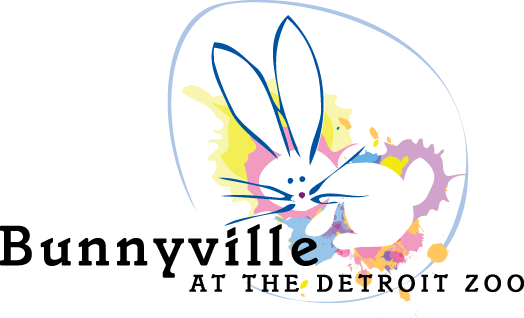 So bring the kiddies out or act like a kid for the day at Bunnyville at the Detroit Zoo! For more information on Bunnyville, click here.